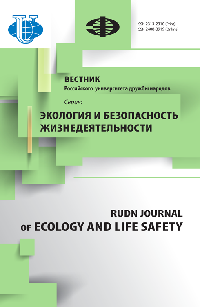 The aim of the journal Bulletin of Peoples' Friendship University series "Ecology and Life Safety" is to increase the efficiency of scientific research in the field of environmental protection and human ecology, as well as the spread of modern research methods and the latest achievements in the field of environmental management. Since 1993 we publish the results of fundamental and applied research of scientists, faculties, graduate students in the form of scientific articles, scientific reports, bibliographic reviews on the following areas: common ecology, environmental management, sustainable development, environmental safety, environmental protection, human ecology, ecological expertise, radioecology and radiation monitoring, environmental assessment, and environmental education. 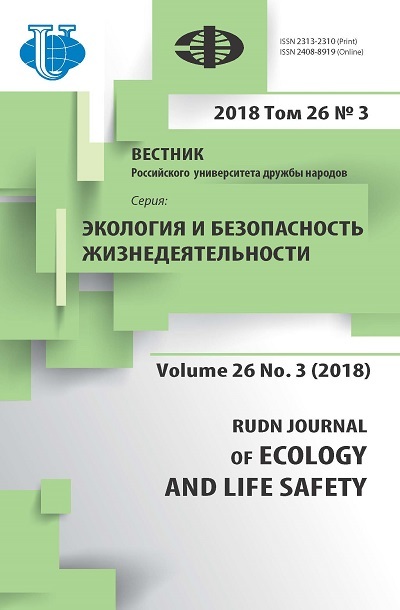 The journal publish the results of original research of universities and research centers of Russia and abroad in the form of scientific articles on subjects relevant to the main areas of magazine. To attract to research activity and improvement of quality of qualification works the journal allows the publication of articles based on the best master's works. Prokhorov I.S., Korneevets K.V., Bychkov S.A.
Zagibalova C.M., Matafonova G.G., Batoev V.B.